Alma’s counsel to his sons Helaman, Shiblon, and Corianton comprise Alma 36–42. The wise prophet’s words were tailored to each of his sons, and addressed specific doctrinal topics that reflected their strengths and weaknesses respectively. Rather striking in Alma’s words to his young-adult son Corianton (Alma 39–42) is the uncompromising denouncement of sexual sins. “Thou didst do that which was grievous unto me,” Alma lamented to his then wayward son. “For thou didst forsake the ministry, and did go over into the land of Siron among the borders of the Lamanites, after the harlot Isabel” (Alma 39:3). The implications are clear: Corianton had committed grievous sexual sins. Certainly all sexual transgressions are serious matters that should be entirely avoided and quickly repented of if committed, and indeed some sexual sins are more serious than others. Reading Alma 39 more closely reveals some additional insights regarding Corianton’s behaviors that intensify Alma’s teachings to his son concerning sexual misconduct. As pointed out by Michael R. Ash and B. W. Jorgensen, for instance, it appears Corianton’s sin was more than just sexual immorality. They argue that Corianton’s sin was a composite of several elements, specifically sexual immorality by a priesthood leader that caused him to abandon his ministry and therefore neglect the spiritual needs of his flock, thereby leading them into apostasy. In effect, Corianton metaphorically “murdered” the testimonies of those he was commissioned to bring unto Christ when he was lured away by Isabel (cf. Alma 36:14). Apostasy is a sin of unfaithfulness that was seen in some ways by Old Testament prophets as conceptually similar to adultery. Alma associated the unpardonable sin of denying the Holy Ghost with leading others into apostasy. This he did by explaining that ‘whosoever murdereth against the light and knowledge of God, it is not easy for him to obtain forgiveness’ (Alma 39:6). “Denying the Holy Ghost is unforgivable,” Alma’s logic goes, “but those who murder ‘against the light and knowledge of God’ can receive forgiveness, albeit with great difficulty. Corianton’s sin was a composite crime of sexual immorality and leading others into apostasy through neglecting the ministry, being unfaithful to his priesthood calling, and setting a poor example. The crime of leading others into apostasy through sinful behavior was, in Alma’s view, next to shedding innocent blood and denying the Holy Ghost in seriousness. Given that he himself was once guilty of that particular crime (Mosiah 27; Alma 36), Alma’s pleading with Corianton to repent is all the more powerful (Alma 39:9–13). To be clear, sexual immorality is an enormously harmful sin that can result in excruciating spiritual and temporal consequences. Both ancient and modern prophets have unequivocally condemned sexual immorality and related vices, and the Book of Mormon repeatedly warns all readers against adultery, fornication, whoredoms, lasciviousness, and sexual sins of all kinds (Jacob 3:12; Alma 16:18; Alma 45:12; 4 Nephi 1:16). These and any other types of wickedness become all the more serious when combined with any other dereliction of spiritual or religious duty. Happily, Corianton did repent and soon returned successfully to the ministry alongside his brothers (Alma 49:30). This shows that repentance and forgiveness is possible for even severe sins, and that God is always willing to receive again those who forsake their transgressions (Doctrine and Covenants 58:42–43). W. Jorgensen, “Scriptural Chastity Lessons: Joseph and Potiphar’s Wife; Corianton and the Harlot Isabel,” Dialogue: A Journal of Mormon Thought 32, no. 1 (1999): 7–34. See Joseph Fielding McConkie and Robert L. Millet, Doctrinal Commentary on the Book of Mormon, 4 vols. 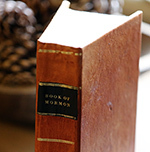 (Salt Lake City, UT: Bookcraft, 1987–1992), 289­–291; H. Dean Garrett, “The Three Most Abominable Sins,” in The Book of Mormon: Alma, the Testimony of the Word, ed. Monte S. Nyman and Charles D. Tate Jr. (Provo, UT: Religious Studies Center, Brigham Young University, 1992), 157–71. Under biblical law, for example, distinctions were drawn between adultery with a married woman and fornication with an unmarried woman, which was “treated rather leniently.” Ze’ev Falk, Hebrew Law in Biblical Times (Provo, UT and Winona Lake, IN: Brigham Young University Press and Eisenbrauns, 2001), 71. 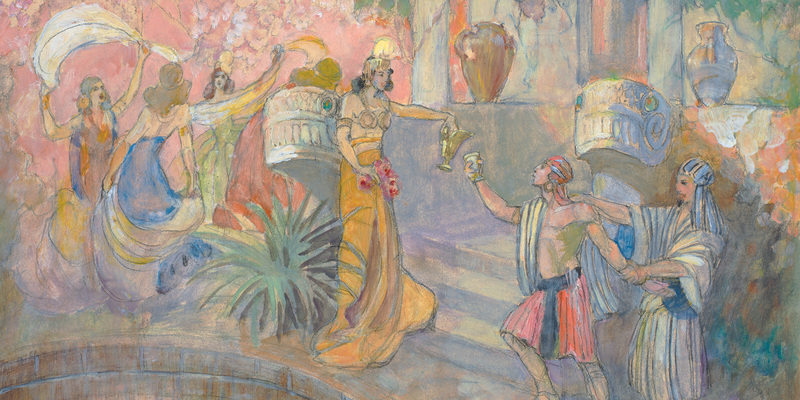 B. W. Jorgensen, “Scriptural Chastity Lessons: Joseph and Potiphar’s Wife; Corianton and the Harlot Isabel,” Dialogue: A Journal of Mormon Thought 32, no. 1 (1999): 7–34; Michael R. Ash, “The Sin ‘Next to Murder’: An Alternative Interpretation,” Sunstone, November 2006, 34–43. Ash, “The Sin ‘Next to Murder’,” 35. Ash, “The Sin ‘Next to Murder’,” 35. See Rodney Turner, “Unpardonable Sin,” in The Encyclopedia of Mormonism, 4 vols., ed. Daniel H. Ludlow (New York, N.Y.: Macmillan, 1992), 4:1499. For example, Hosea related apostasy to adultery as two manifestations of unfaithfulness, the one towards one’s spouse and the other towards one’s God. See Hosea 2–3. Ezekiel also used forceful language to describe Israel’s apostasy as a form of spiritual adultery (Ezekiel 16:15–22). Ash, “The Sin ‘Next to Murder’,” 36. Good article. May I offer another perspective? Many years ago Elder William R. Bradford came to our stake and taught us “God’s Law of Life.” His teaching help clarify for me why the breaking of the law of chastity is considered the sin next to murder. He drew a line on the chalkboard representing our lives – with a beginning and an end. My life is supposed to end at the end of the line but someone may choose to take my life before it was supposed to end. Should this happen our society would hold them accountable – because they have no right to end my life before it’s time. This is true unless it is proven that my life was taken in self-defense. In other words, there may be circumstances under which one may have permission to take a life. Nephi was certainly given permission. So the law may more appropriately be stated: Thou shalt not kill – unless you have permission. Another way to state the law of chastity is that we have no right to do the kinds of things that create life – unless we have permission. We of course get permission by getting married. Our culture doesn’t even blush with the breaking of this law, but the two laws are closely connected because we are dealing with life. We are not to mess with life at either end of the spectrum, at the beginning and at the end – unless we have permission.